This suit, most often named "Coins" or "Pentacles", is a symbol that represented wealth or potential. This suit represents something supportive that is available to you -- whether it be health, some kind of talent, a material or financial resource. 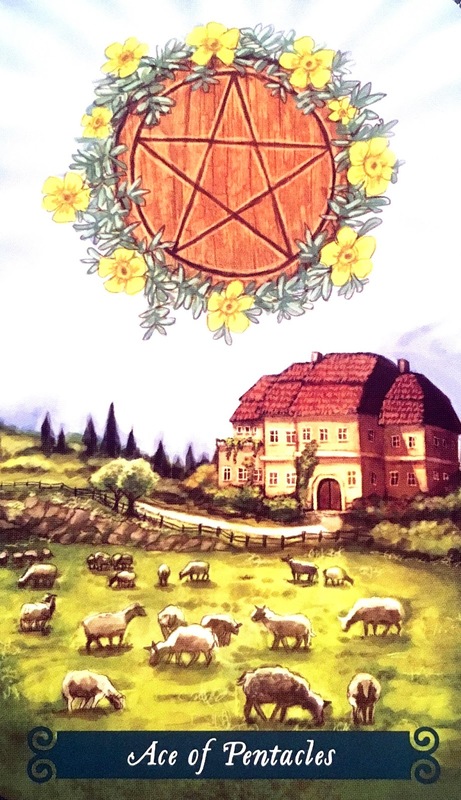 The Ace of Pentacles is usually pictured with a garden or agricultural backdrop, and symbolizes a seed. If this "talent" is planted and tended carefully, it will sprout and reward you with a good harvest. Think of it as a seed of your future fulfillment. 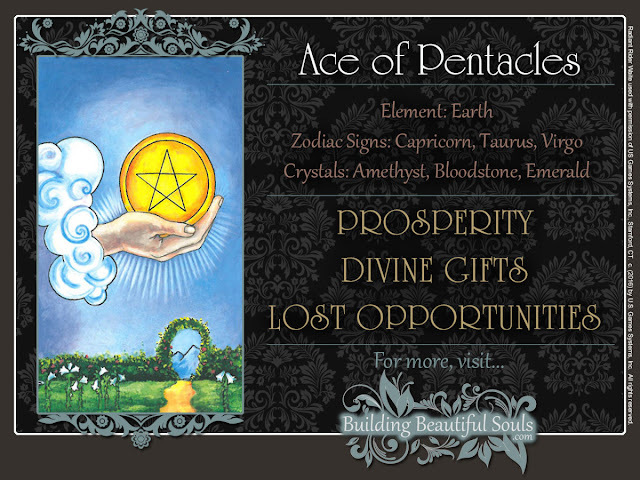 An Ace represents the first step to a goal, and if that step is repeated, it will cover great distances. Generally, the suit of Coins are referring to the tangible realities in daily life, but in the case of the Ace, it could be symbolizing a winning idea, game plan or blueprint for eventual materialization.